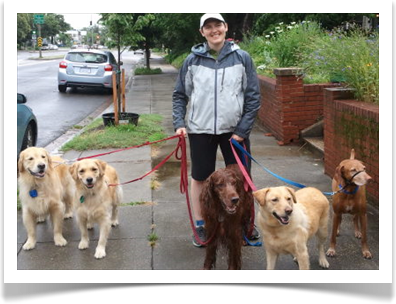 Capital Critters Sitters is more than providing quality pet care. I have a personal agenda to make every pet and every client feel like family. I am passionate about each visit, each walk, each dog and cat. I am committed not only to excellent service, but to making my 30 minutes with your pet some of the best time of their day. I hope they are as excited to see me as they are to see you. I keep the service area compact to allow for minimum time between houses, maximizing my time with each animal. Below is a map of my current dog walking zone. For cat visits, I might extend it a few blocks in each direction. However, I do not go north of H St NE, east of 15th St NE/SE, south of 695, or west of 3rd St NE/SE. 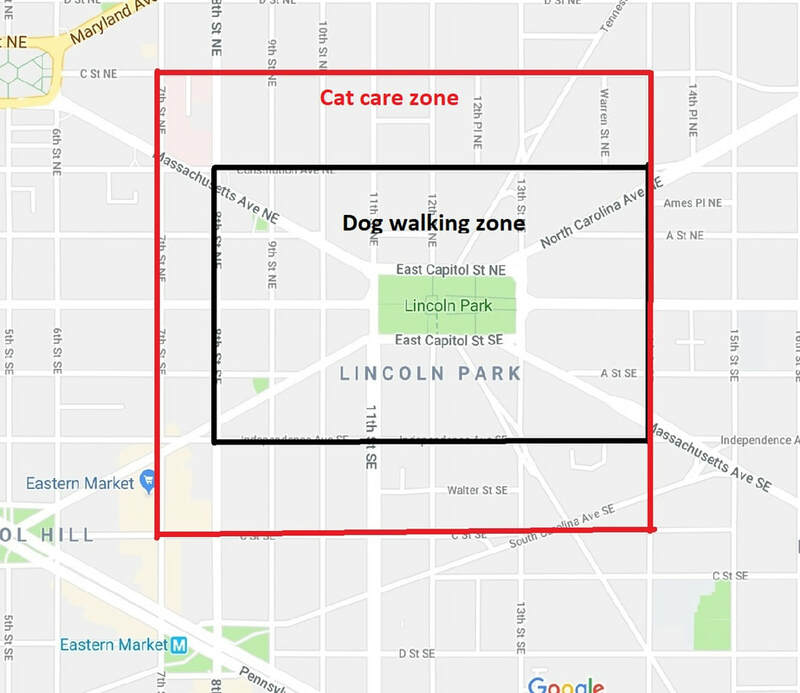 Lincoln Park (see map below) for most midday walks and cat care. Jen, escorted by Buckley, Caya, Preston, Cooper, and Orion. I follow the Federal Holiday schedule and DO NOT walk dogs on those days.